Are you tired of answering same frequently asked questions about your business, products, items, or what ever you are promoting on Facebook? This app will finally tel your relax. The smart robot will talk to your customers on your behalf, and will answer all of the common questions to your customers while you rest or do a more productive work. If there is a new questions that a robot can’t answer, robot will allow you give the answer, and the robot will remember it for next time. 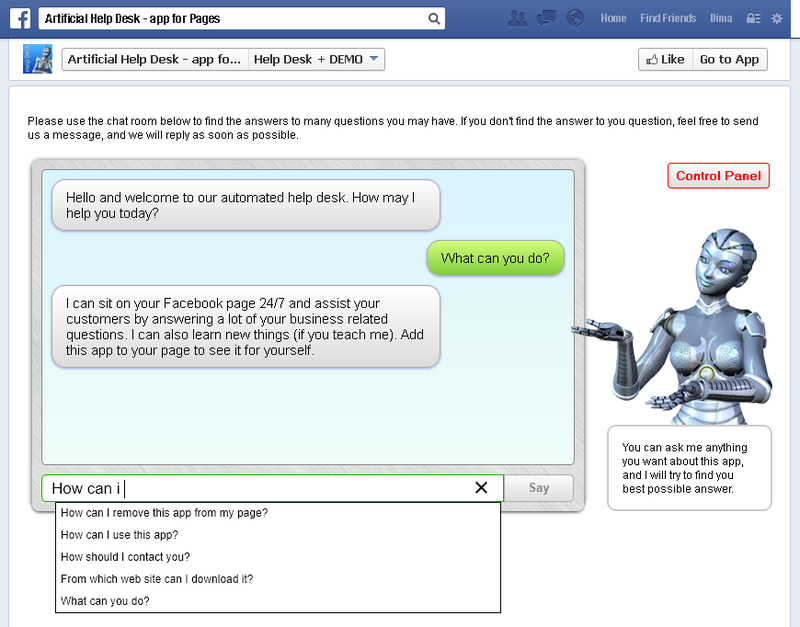 First you have to train your robot by adding as many question-answer sets as possible to give the robot as much as possible answers to common questions. 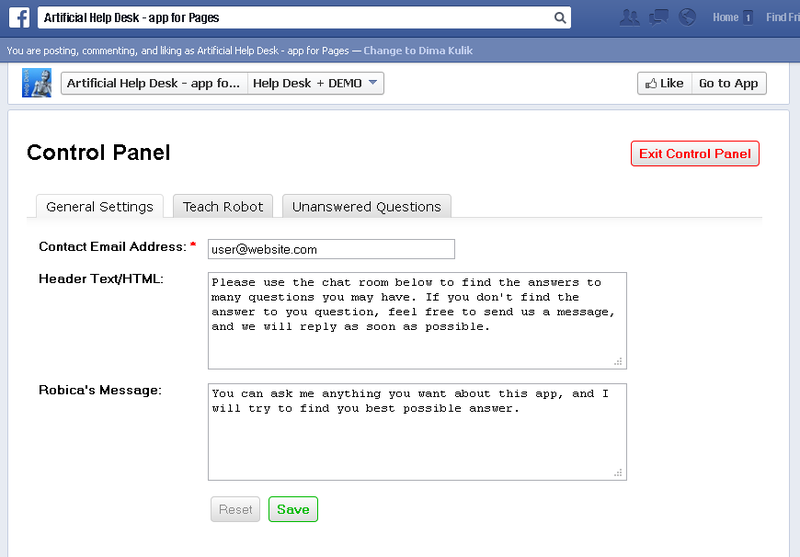 This will allow the robot to select the most relevant answer to customer’s question. 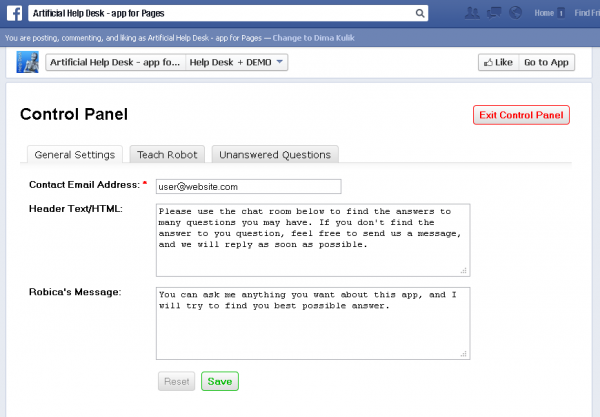 You can even use HTML code in your answers to provide a better customer service. The app is designed to help you with your business, not to rip you off, therefore it’s FREE. But we want your input in return. We ask that you let us know how the app is working for you, if you have any issues, report to us, so we can fix them. 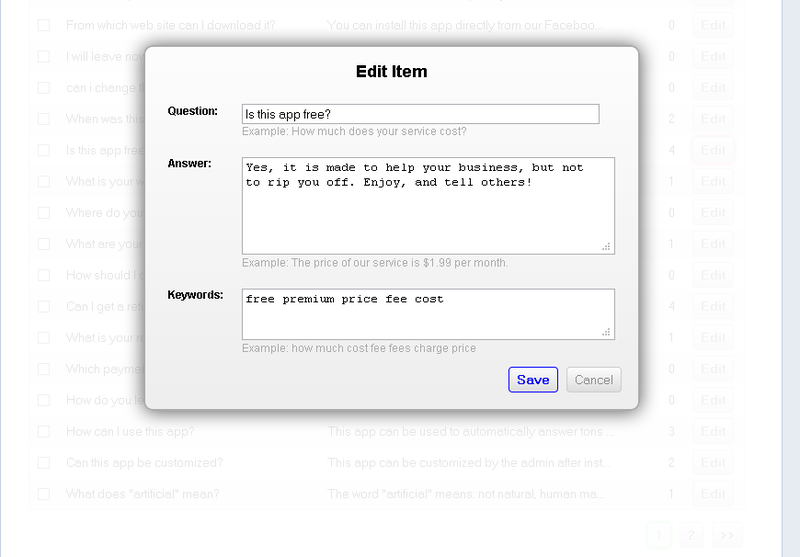 This will allow us make the app fun to use, and service your customers even better. If you have any questions, please contact us. We will be happy to hear your feedback, bug reports, and testimonies.